Dr Who's sidekick to die? Amy Pond may be killed in the next series of 'Dr Who'. The flame haired sidekick - played by Karen Gillan - could be subject to a mid-season cliffhanger, according to television writer Steven Moffat, which would leave audiences needing the summer to recover. Speaking at a masterclass on the classic TV show in Edinburgh, he said: "In order to let you have time to recover we will let you go off and have your summer holidays and then come back in autumn. "It's a huge event. An episode of 'Dr Who' that not scary is failing the children of this nation. It's a good one. I know word-for-word what it is." However, a source told The Sun newspaper it was likely she would be the first companion to die since Adric in 1982 as Amy would leaving before the end of the season. Recently it was confirmed Matt Smith - who took over the role from Scottish actor David Tennant - would likely stay as the Doctor until 2013. 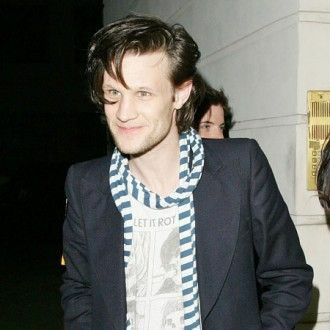 A source said: "Matt has made it clear he's keen to commit himself to the series for the long-term. "The current team believe that Matt is the person to continue taking the show forward over the next few years and want to avoid the prospect of fans having to get used to yet another actor in the role in the near future."